Afternoon Tea Week 2015 is coming to the UK, get very excited. 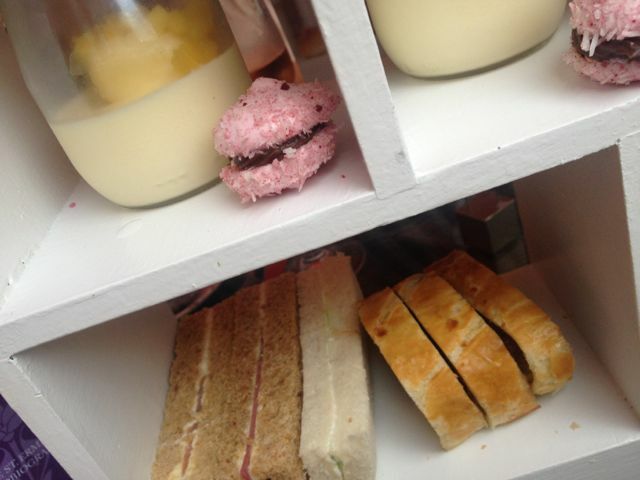 Last year, you may have seen I was lucky enough to join the team at AfternoonTea.co.uk and Nudge PR where we all met aboard the BB Bakery bus for a tour of London as we dined to celebrate the launch. 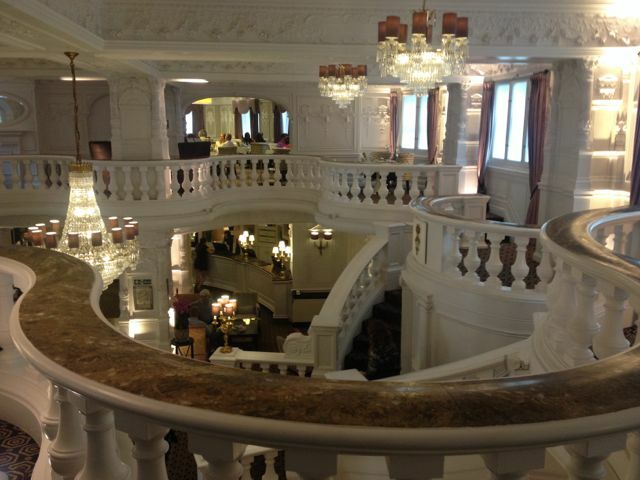 This year I was invited back to join the team for a much more civilised and relaxed affair within the grand surroundings of St Ermin’s Hotel in London’s Westminster. 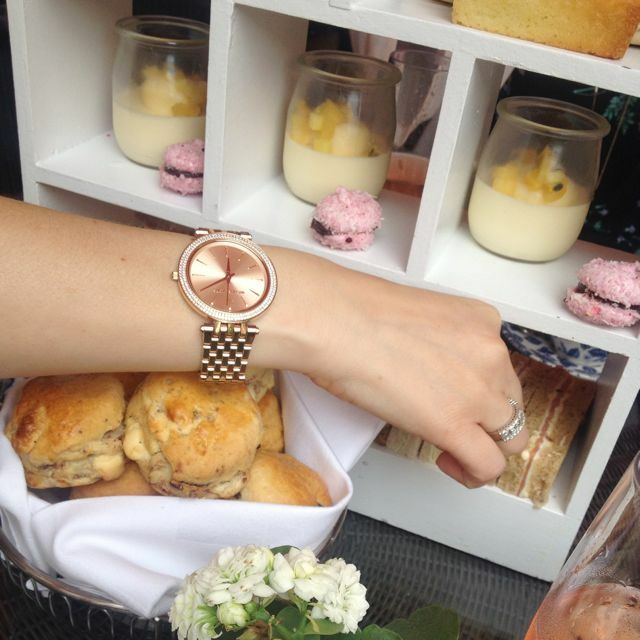 For 2015, Afternoon Tea Week will run between 10th to 16th August, playing host to a series of exclusive afternoon tea events and celebrations nationwide within the our favourite British hotels, restaurants & Tearooms – there will be themed tables, talks, tea tastings and geekery a plenty. For example, certain UK hotels will be offering a generous discount with their afternoon tea menus, such as the St Ermin’s Hotel (the host venue for this launch event) with their stunning “Sparkling Tea On The Terrace”, complete with unlimited champagne. 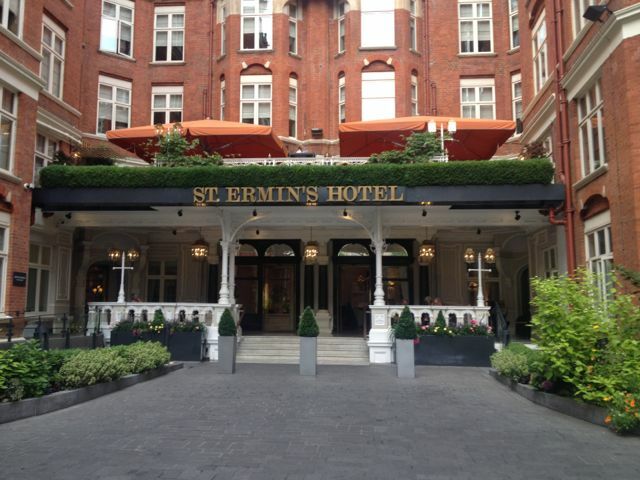 St Ermin’s Hotel started out as St. Ermin’s Mansions in 1889 (smart serviced flats within Westminster) and the red brick Queen Anne style was a fashionable choice back in that time. 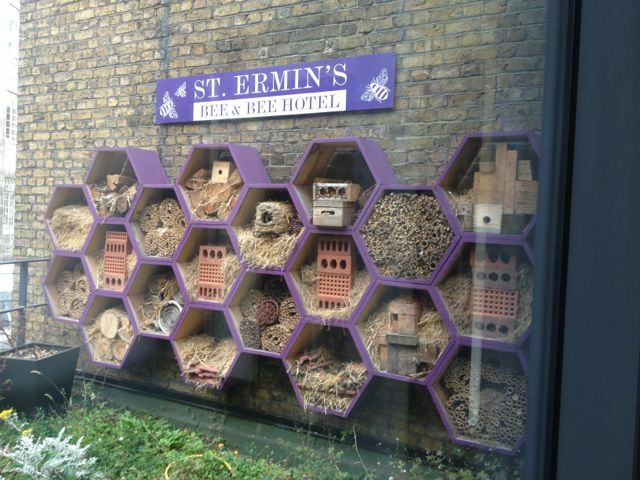 Nowadays, it reflects a luxurious Victorian interior and boasts London’s very first “Bee Hotel” up on the rooftops above, complete with hexagonal boxed suites for a variety of bees to nest in peace. 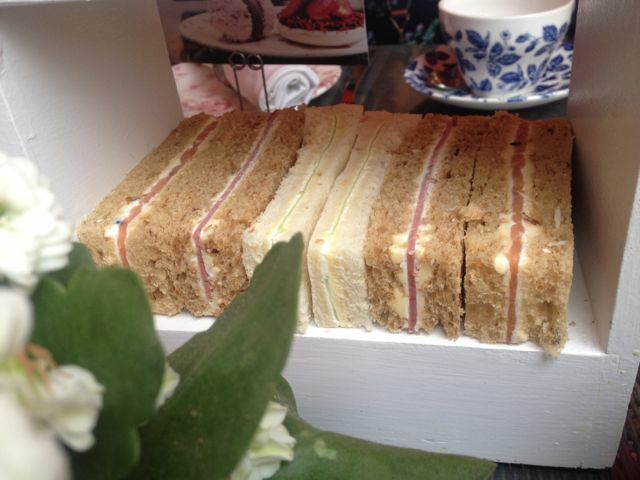 Their menu even includes the option to buy their rooftop honey whilst visiting and their afternoon tea is beautifully presented, served on a tall white layered box, not dissimilar to something you might find in IKEA – I’ve never see anything like it, I love it. The savouries include pork & black pudding sausage roll and finger sandwiches with fillings such as salt beef with horseradish, cucumber & cream cheese and smoked salmon with caviar for some true decadence. An assortment of warm, freshly baked scones are served with lashings of strawberry jam and clotted cream, but served with slightly unusual flavours. Not only do they have a traditional sultana scone, but also milk chocolate & strawberry or even a sea salt scone, all truly delicious and very moreish. It doesn’t stop there, the sweet treats will keep you going all week with a chocolate & raspberry tea cake, lemon & rose petal drizzle cake, strawberry macaroon (almost like a fluffy marshmallow!) and a tropical fruit Yuzu posset to cleanse your pallet. The tea selection is hand picked by London-based gourmet tea company “Newby Teas” and at just £35 as the hotels’ standard afternoon tea price, this is a luxury afternoon tea venue worthy of a visit, throughout Afternoon Tea Week 2015 or beyond. 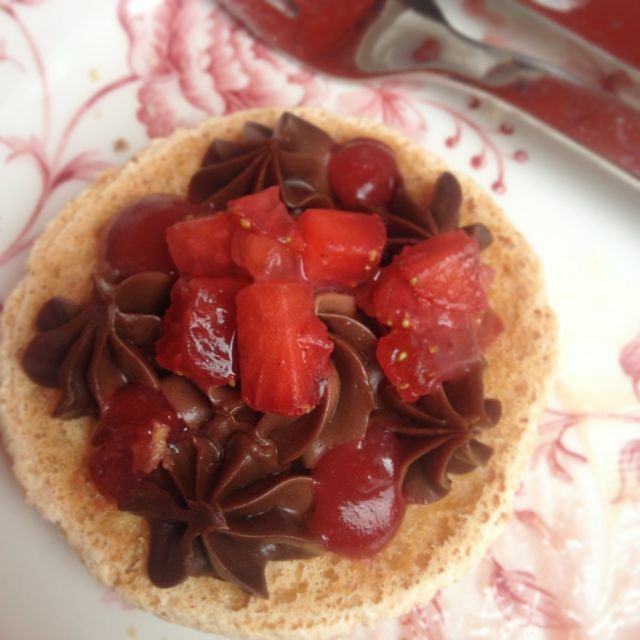 They can also cater for gluten free afternoon tea requirements if requested on booking. 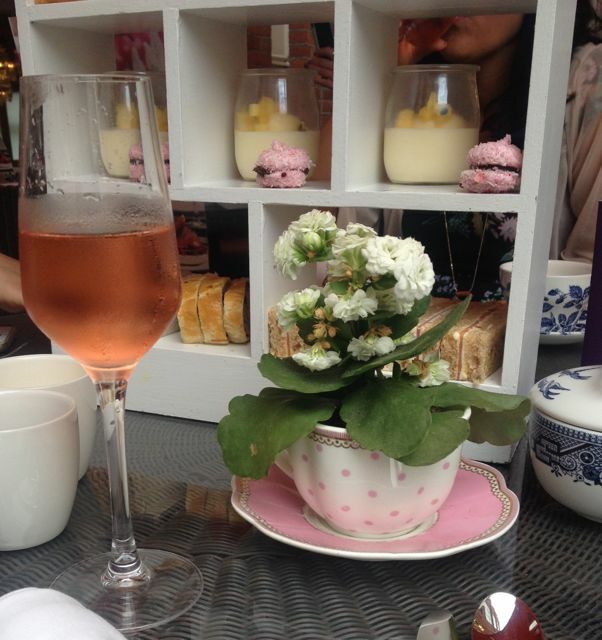 So… What do you fancy doing to celebrate National Afternoon Tea Week in August?